“Revenge Dungeon” is a new series of challenges where players get to face bosses that they may or may not have beaten already. The bosses are selected based on a vote by the players, the ones with the highest votes will be featured in this “Revenge Dungeon”! Now that your party is much stronger than before (or have you been slacking?! ), time to avenge yourselves! Stamina cost for these dungeons will not exceed 60 Stamina. 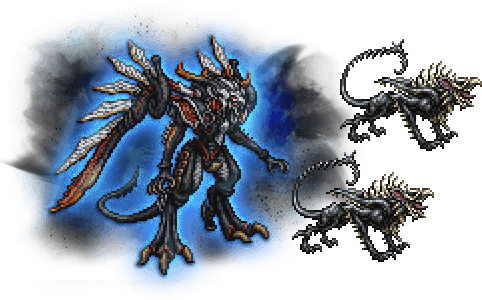 If you failed to beat any of the featured bosses in the past, now’s your chance to take them down and claim the rewards that you missed before! Defeat Bahamut SIN before it uses Gigaflare twice. Defeat Bahamut SIN before it uses Petaflare twice. Scratch: Deal physical damage to one target. Wing Buffet: Deal physical damage to all targets. Lightning Bolt: Deal heavy lightning damage to all targets. Ray: Deal lightning damage three times to one target. Gigaflare: Deal very heavy non-elemental damage to all targets. Petaflare: Deal massive non-elemental damage to all targets. Rush: Deal physical damage and reset ATB of one target. Bite: Deal physical damage and Sap one target. Dark: Deal dark damage to one target. Dark Breath: Deal heavy dark damage to all targets. Stigma: Deal non-elemental damage and Poison & Slow one target. There are altogether three different types of Shadow Creepers, but only two of them will be in the encounter at any one point of time. When Shadow Creepers are defeated, they will be resurrected after a few turns. When the “Charging Sphere” is destroyed, not only Bahamut SIN takes the collateral damage from the explosion but also any Shadow Creepers on the field during the explosion. Be prepared to be taking lots of damage from Mega/Petaflares (unless you’re fast with Sphere killing). Make sure you keep track of your buffs/Breakdowns and that they’re up at all times. Remember to kill “Spheres” ASAP. Also try to enter the “Charging” phase when the Creepers are up, so that when you kill the Charging Sphere the Creepers take the damage as well. Watch the videos linked below (especially Video #3) to have an idea of how the battle is like. Good luck! Carbuncle: Bounce off Bahamut’s single target Flares. Tauntaliate: Nullify the Creepers’ single target physical attacks. NOTE: You do not have to defeat 8 Creepers, only 6 will do. Just make sure the 7th and 8th Creepers show up on the field before defeating Bahamut SIN. When you defeat Bahamut, all other enemies on the field “die” as well. 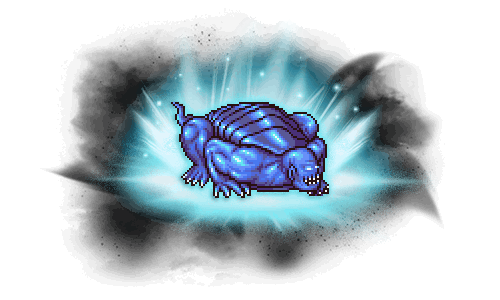 Exploit Cagnazzo’s weakness to ice attacks when it is weak to ice. Hit Cagnazzo with lightning attacks when it is Preparing Tsunami. Attack: Deal physical damage and Poison one target. Watera: Deal moderate water damage to all targets. Watera: Deal moderate water damage three times to one target (random). Waterga: Deal heavy water damage to one target. Heal: Restore a small amount of HP to the target. To break Cagnazzo out of Preparing Tsunami state, he has to be hit by lightning attacks three times. A lightning attack with multiple hits (Lightning’s SSB, Rinioa’s Angel Wing Bolt, etc) counts as one time. When Cagnazzo uses “Heal” while in Defending state, it goes out of Defending state. Carbuncle (or Runic Blade) and Poison breaks this fight. Carbuncle is highly recommended here because it will bounce back Cagnazzo’s counter Stops and also his single target Waters. Other than that, having lightning attacks on three separate characters is recommended. You only have 1 turn after Cagnazzo starts preparing Tsunami to break him out of that state. Having a Hastega SB is also recommended because AoE Slows can be very annoying. Other than that, tank up your party’s magic defense! Launch: Deal heavy physical damage to one target. Blast Wave: Deal moderate physical damage to all targets. Shockwave: Deal heavy ranged physical damage to one target. Graviton: Deal heavy non-elemental magic damage to one target. Giga Graviton: Deal moderate non-elemental magic damage to all targets. 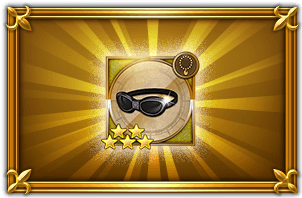 Eye of Bahamut: Deal non-elemental damage and reduce RES of one target. Heart of Chaos: Grant Reraise to self. Spread Pulsar: Deal non-elemental damage five times randomly to one target. Shockwave: Deal moderate ranged physical damage to all targets. Body and Soul: Recover a large amount of HP to self, and temporarily increase self ATK and MAG, and grant self Regen. Caius starts the fight with 2 regular Attacks + Launch, and then Heart of Chaos (which does nothing other than for theatrics). The 2 attacks will always land on different targets, while Launch targets randomly (it can attack an already-attacked person). On the next turn, Caius will use a regular attack on a target that hasn’t been attacked yet. On the following turn, Caius will most likely use Body and Soul. Caius gains SPD once he reaches 50% HP. Personally, I recommend bringing a Wall SB for this fight, his damage output is just insane without it, even after stacking Breakdowns. Recovering from his initial attacks is also important. You may need some resets if you’re unlucky. Caius’s SPD is high even before the 50%HP mark. Always plan ahead what your next turn is going to be so you don’t waste unnecessary time.